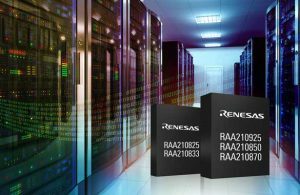 Renesas’ Simple Digital Power Modules provide reliable power for FPGAs, ASICs, DSPs, and microprocessors. They leverage the advantages of a digitally-controlled power supply while eliminating the need to store operating parameters in non-volatile memory. Configuration is instead performed through pin-strap resistor selection, while a PMBus interface is also available for run-time configuration and telemetry.